I’ve been friends with this girl — let’s call her Liz — for about four years now. I met Liz when she was just ending a horrible long-term relationship. I think they’d dated for five years when I met them both. Then came the long, drawn out conclusion, because in my experience, long relationships rarely end quickly and cleanly. Anyway, since then, Liz has been in a handful of relationships. She’s looking for love, though she’s quick to assure me that she’s not actively looking for love, just “open to it.” And so when a friend suggested she try one of those dating websites, she thought, sure, why not. Sounds like someone who’s actively looking for love to me. Within the same week, another girl friend of mine who lives out in Las Vegas told me that she too is gonna give online dating a go. She leads a busy lifestyle, working long and irregular hours. “I’m just bored with being alone,” she texted me. Though she didn’t say it, I’m sure Liz feels the same way, as does a third friend of mine and I’m sure many of the girls who try online dating do. I get the being bored part. I get that busy schedules make it hard to get out there and meet new people. I definitely get that dating sites are an easy way to meet new people, people you’re supposed to be compatible with. And from what I’ve been told, dating sites are popular way of simply making friends, especially within the LGBT* community. I understand how difficult it must be to make friends within an ostracized community. But I’m not talking about the LGBT community or people seeking friendship. I’m talking about heterosexuals looking for love on the internet. No matter how awesome the person you’re connected with may be, nothing beats living your life in the real world. Just as meeting a friend for lunch at an outdoor café tops chatting on Facebook any day of the year, nothing compares to going places, interacting with people, and possibly, maybe, meeting someone you can build a meaningful relationship with. Of course, getting out there and talking to people means you’re gonna come across plenty of creeps and jackasses. But that’s part of the game called life. And it’s meeting and dating those creeps and jackasses that allows you to fully appreciate a good person, someone you can hopefully live and grow with for a long time. 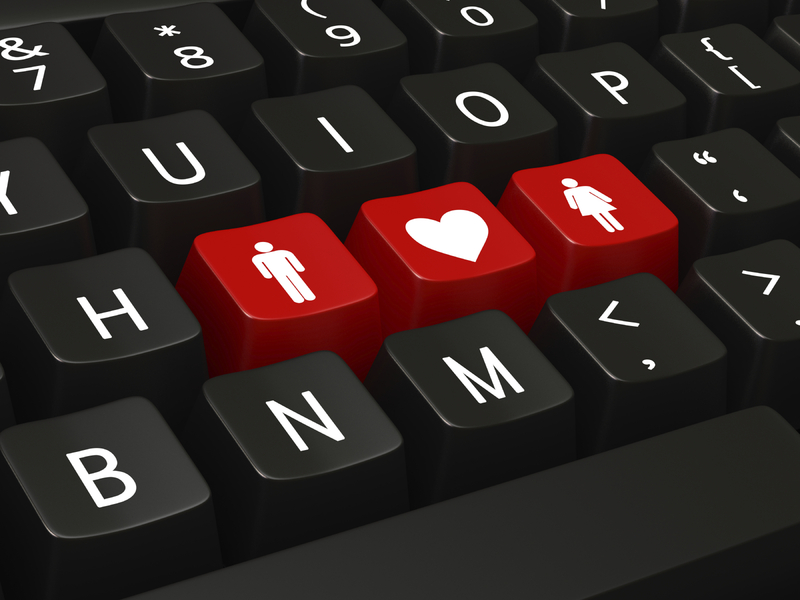 Plus no one should be looking for love so desperately that they resort to being matched with people by a website. Do you need someone else that bad? Are you alone too little for yourself? Being in love is not the purpose of life. Finding someone to love is not the end-all and be-all. The purpose of life is understand yourself as best you can and discover pure happiness, the kind of happiness that no one can take from you, the kind of happiness that will sustain you whether you’re living in a mansion or a cave. You’ll never understand yourself better by focusing on someone else. You’ll never find your happiness in someone else’s eyes. So what should someone do if they’re feeling lonely? The answer’s simple, though few people walk down that road. You have to find out why you don’t like being alone with yourself and find a way to get rid of that feeling. Live your life. Work. Play. Dance. Eat. See. Listen. When love comes, if it comes, it’ll be a bonus. But if never comes, don’t fret. You have yourself — the best and only company you’ll ever need.